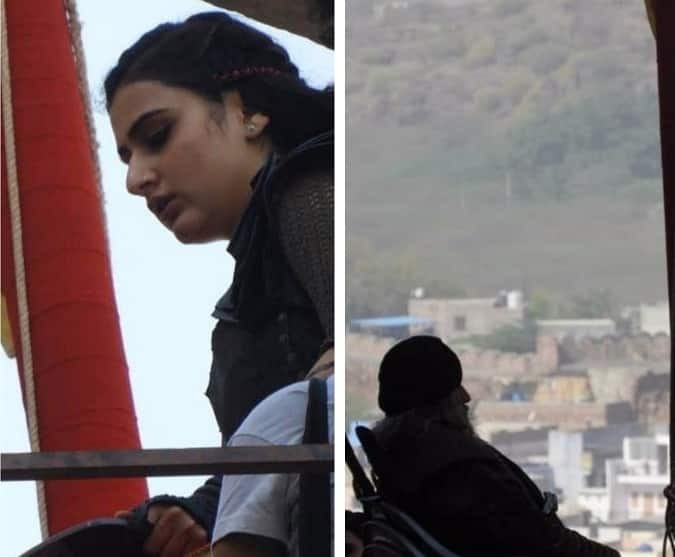 Amitabh Bachchan and Fatima Sana Sheikh are recently shooting for their upcoming film i.e ‘Thugs Of Hindostan’ in Jodhpur. And some of the pictures of the two got captured in between there shoot. Thugs of Hindostan is said to be most awaited movie of 2018 as Senior Bachchan will be seen in this after very long. Other then these two Amir Khan, Katrina Kaif are also leads of this film. Amir Khan has already given a statement in an interview that Fatima is playing main character in this movie. He has recently celebrated his 53rd birthday and took off from shoot to enjoy some quality time with his loved ones and during the off he made his first live in an instagram and said movie will get wrapped up by April 10 and all set to release on November 7. Vijay Acharya is the director of Thugs Of Hindostan, who has already worked with Amir in Dhoom 3. Previous articleIrrfan Khan shares first picture from London with an inspirational poem! After sexual harassment allegations, Vikas Bahl dropped from Amazon’s upcoming series! Subedar Joginder Singh new song ‘Hathyar’ is out! Krushna Abhishek wants to collaborate with Kapil Sharma for a show!